Thank you for your interest in this 200 Hour 26/2 Hot Yoga Teacher Training, recognized by the Yoga Alliance. The Level I Teacher Training will be a transformation experience in your own practice as well as in the instruction of others. 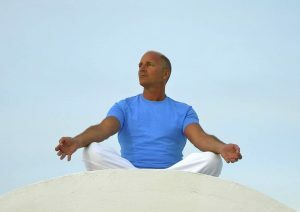 Barkan Method Hot Yoga Teacher Trainings recognized by The Yoga Alliance, takes an interactive approach that connects with each individual student and helps them learn how to effectively teach. Through the Level One, 26 & 2, 200-hour training, the goal is to help you explore your natural skills and talents as a teacher, not to make you a cookie-cutter type of instructor. This training is a top-rated course conducted by leading industry experts. Reach out to us today with any questions. We would be glad to speak with you. Lara Alexiou formally trained and certified with Bikram 2003, Jimmy Barkan 2008 & 2013, and Zen Wellness in Yoga and Qigong. Lara completed the 1000 Hour course requirements recognized by the National Qigong Association to become a Zen Wellness Medical Qi Gong Director and in 2017 she was awarded the “Doh Yi Masters Certificate” recognizing her for the completion of 10,000 hours in Qi Gong Training. She brings a unique complimentary blend of knowledge that bridges Ghosh Yoga and philosophy with Traditional Chinese Medicine. March 13 – 23, 2019 & April 4 – 13 2019 Participants must complete both sessions. $3,750 – Two payments of $1875.00 1st payment due January 15, 2019 second payment due February 28, 2019. Take this very unique opportunity to grow and work with directly masters in the Ghosh Yoga succession. © 2018 The Barkan Method - Do not copy . All rights reserved.